​​​The concept of “homestead" has been part of Texas law since colonial times when Stephen F. Austin persuaded the legislature of Coahuila y Tejas to adopt laws exempting certain property from the claims of creditors. Although the law was briefly repealed, it returned to Texas law in 1839 and has been so enshrined ever since. The primary purpose originally was to encourage settlement. Additionally, homestead law protects the home and some means of support, thus keeping families off the public dole, fostering independence, and preserving the integrity of the family as the basic unit of society. 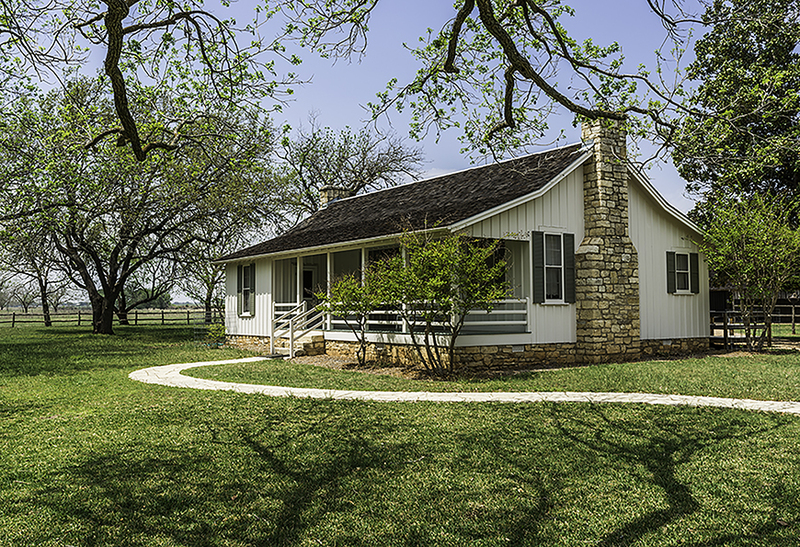 While most Texans have at least some knowledge of the concept of the homestead, the term may have several different implications depending on the context. 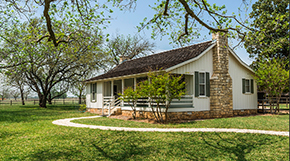 Texas homestead provisions fall into three general categories: the homestead exemption from taxation, homestead protection from creditors, and the homestead right of occupancy. The most common reference to the “homestead exemption" by the general public is to the exemption from ad valorem taxation. A certain portion of the appraised value of a principal residence is excluded from the taxable value. For this purpose, the residence homestead means a structure or a separately secured and occupied portion of a structure, together with up to 20 acres on which the structure sits. Improvements used in the residential occupancy of the structure are also incl​uded. The structure may be a mobile home, and the mobile home will qualify for the exemption even if it is sitting on leased land, as long as the occupant owns the structure. The structure must be designed or adapted for use as a residence and be occupied by the owner or a surviving spouse who has a life estate in the property. It may be owned directly, or it may be owned indirectly through a beneficial interest in a qualifying trust. In this case, a qualifying trustor or beneficiary must occupy the residence. In the vast majority of Texas school districts, residence homesteads are allowed an exemption of $25,000 of the home's value for school taxes. In a few cases, only $5,000 of this exemption applies. Homestead owners who are 65 or older or disabled qualify for an additional $10,000 exemption. Homeowners who are 65 or older and disabled cannot receive double that exemption amount. Any taxing unit has the option to offer an additional “local-option" exemption of at least $3,000 for taxpayers who are 65 or older, disabled, or both. If counties collect taxes for farm-to-market roads or flood control, the residence homestead is allowed a $3,000 exemption. However, if the county offers the local-option exemption, the homeowner does not receive both $3,000 exemptions—only the local-option exemption. Additionally, any taxing unit has the option to offer an exemption of up to 20 percent of the homestead's value, but the exemption must be at least $5,000. Those who qualify for a residence homestead exemption from property taxes may file an application for the exemption with the appraisal district in the county where the property is located. The homestead of a family or a single adult is protected from forced sale for the purposes of paying debts and judgments. Even an abstracted judgment lien will not attach to a homestead property as long as the property retains its homestead character. There are exceptions. The homestead may be taken for purchase money liens (i.e., loans taken for the purpose of buying the property), taxes, mechanic's and materialman's liens; certain home improvement, home equity, and refinance transactions; reverse mortgages; owelty liens; and the refinance of a lien on a mobile home attached to the homestead. To qualify for homestead protection, the homestead must be established before the lien attaches to the property. If the lien is in place before the property becomes a homestead, there is no protection. Children may not claim their homestead rights until the death of the surviving spouse. For the children to claim homestead rights, the surviving spouse must not have abandoned the homestead. This protection applies even when someone else owns the property. For example, say a homestead is the separate property of the husband. The husband dies and leaves the property to his cousin. As long as the surviving wife does not abandon the homestead, she still has a right to occupy the property even though the cousin is the owner. intends to claim the land as a home. Typically, a homestead becomes a homestead when the owner occupies and uses the premises as a principal residence. An affidavit designating the property as a homestead is commonly filed in the real property records of the county where the property is located. This is done to establish the homestead for purposes of the property tax exemption and to protect it from creditors. An owner who owns multiple properties may wish to establish which of the properties is the homestead. A lender may require a borrower to designate which property is and is not a homestead as a condition of the loan. If there is a creditor and the owner owns property larger than the homestead limits, the creditor may require the owner to designate which property is protected. In such a case, the remaining property is subject to forced sale. The owner does not actually have to reside on the property to claim a homestead. However, the owner must presently intend to occupy and use the property in a reasonable and definite time in the future and must have taken some action to prepare for occupying and using the property as a homestead. A homestead must be based on real property, not personal property. Therefore, a mobile home that is not affixed to the land does not qualify. However, it is possible for a leasehold interest and a life estate to qualify, as well as land held in trust for a beneficiary. A person may have only one homestead at a time. Nevertheless, it is permissible for homestead protections to “roll over" from one property to another, and the proceeds from the sale of the first homestead may be used to purchase the next. The protection applies to the proceeds as long as they are used to purchase a homestead within six months. If the home is damaged or destroyed, the insurance proceeds are exempt for six months from the date when the owner had a right to demand payment from the insurer. In the event of an involuntary sale, such as a condemnation, the owner may purchase another homestead within “a reasonable time." An urban homestead for a family or single adult includes up to ten acres used as a home or as both a home and a place to exercise a calling or business. This may be in one or more lots, and it includes any improvements on the land. The lots are usually contiguous, although they need not be as long as they are used together for homestead purposes. A rural homestead includes up to 100 acres for a single person or 200 acres for a family. The land may be in one or more parcels, and the homestead includes any improvements on the land. The rural homestead may include noncontiguous tracts if they are used in connection with the home tract for the comfort, convenience, or support of the family. An example would be where a separate parcel is farmed to support the family, although the family lives elsewhere. For this rule to apply, the land where the home sits must be rural. The family may not have both urban and rural homesteads. Otherwise it is rural. The urban or rural characterization is determined when the homestead is designated. Once a rural homestead is established, it remains a rural homestead, even if the surrounding area becomes urban. Property remains a homestead until death, abandonment, or sale. If the owner dies, the homestead terminates unless there are surviving family members who are still entitled to homestead rights. A homestead is considered abandoned when its use is discontinued and there is no intent to use the property again as a home. Even a temporary absence from the home is not abandonment unless there is intent to discontinue use as a home. The burden of proof for abandonment is on the creditor. Finally, the homestead may cease when it is sold. If both spouses are living, they are both required to sign the conveyance. Care must be taken when selling a homestead, however. Certain types of transactions, such as “sale and lease back" transactions and “pretended sales," will result in a loss of homestead protection. This article discusses the most common homestead exemptions and protections, but it is not exhaustive. Nothing in this publication should be construed as legal advice. For specific advice, consult an attorney.